Instructions for releasing a rescued owl back into the wild. NB. The release of captive-bred Barn Owls is illegal in the UK. In most cases, taking a rescued Barn Owl out into the wild and quickly ‘letting it go’ will reduce its chances of survival and, in some cases, condemn it to starvation. The only way to ensure that it doesn’t starve, is to provide it with food for about 2 weeks. The only way to ensure it takes the food, is to make sure it comes back. Therefore, establishing a pattern of return for food is the short-term aim of all good (supported) release methods. Maximising the chances of the owl coming back requires attention to detail in every aspect of release planning, as well as release aviary design and operation. Adult owls that have previously had a home range (or territory in the case of Tawny Owl) should almost always be released within 200 metres of where they were found (further away if the bird was found on a major road). Young owls, that came into captivity before becoming self-sufficient and have never had a home range or held a territory, should be released in an area of good habitat for that species of owl, but always more than 1 km from a major road. Mobile aviary rescued owl release – best method for fledged and adult owls. Top-opening aviary owl release – for fledged young or adult owls. 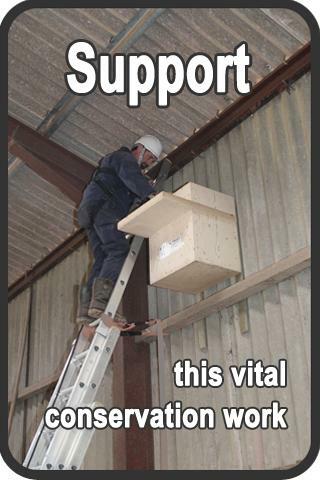 Unsupported or ‘cold’ release – only for adult owls in captivity 3 weeks or less. Returned to the nest or fostered in to another nest – for uninjured, unfledged owlets. Young brood release – for unfledged Barn Owl owlets. 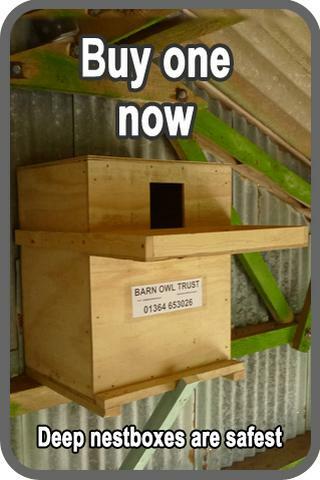 – the best gradual or supported release method for rescued fledged/adult Barn Owls. A mobile release aviary follows the same principle as a static top-opening aviary, except that it can be towed to any accessible location. By far the best place to release an adult Barn Owl is within its own home range and our recommended method is a gradual release from a top-opening aviary. Our mobile aviaries allow us to use the best method, in the best place, for each individual owl. For birds that have never been independent and therefore don’t need to be returned to their home range, a mobile aviary can be taken to an area of ideal habitat. Once the aviary is detached from the vehicle and set up, the owl is placed inside and feeding commences for at least 2 weeks, before the top is opened quietly at dusk. – a gradual or ‘supported’ release method for fledged young and adults. This method involves the keeping of one or more owls in a large aviary, of which at least a 2 x 2 metre area of the roof can be quickly and quietly opened. In order for the bird to feel settled in the aviary and to become familiar with its surroundings, it is confined for no less than 2 weeks before release. The owl’s food is placed in a small open-ended box so that scavengers, such as crows and magpies, cannot see it. The aim is for the aviary top to be opened at dusk, without the owl flying out, so that it is able to leave in its own time and in a relaxed manner. At the time of release, the top of the aviary is locked in the open position, allowing the bird to come and go at will. This helps to maximise the chances of a pattern of return for food being established. After release, food continues to be provided for not less than 10 days and/or for as long as the owl continues to take it. – a method for adult owls that have been in captivity less than 3 weeks. With this method of owl release, the individual is taken back, at dusk, to or very close to where it was found. It is then held up in the air until it has stopped struggling and had a look around. The person releasing the owl should then very gradually relax their grip and slowly open their hands, allowing the bird to fly off. There is no attempt to establish a pattern of return for food and, if it is to survive, the owl must attain self-sufficiency very quickly. This method is generally only used for experienced adult birds that appear 100% fit that have been in captivity for a few days (e.g. an adult owl that has fully recovered from a slight concussion and whose finding place is known). NOTE: this is a potentially dangerous release method and should only be used for adult owls that have been in captivity less than 3 weeks. The cold-release method should not be used on owls that have matured in captivity, as it does not provide the post-release support that is considered essential for inexperienced owls. – an owl release method for unfledged nestlings. Uninjured owlets that have fallen from the nest, but are in good physical condition, are often placed back in the nest (Barn Owls) or near to the nest (Tawny Owls). 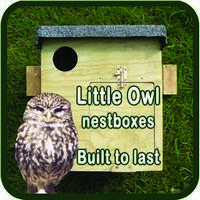 Healthy nestlings that cannot be returned to the nest are sometimes fostered-in to a different nest with young of a similar age, under the supervision of a nest inspection licence holder. However, placing a highly mobile owlet in a different nest that is not in a deep cavity runs the risk of it simply running out, failing to integrate, and dying. Fostering in should certainly never be attempted with an owlet that is close to fledging. 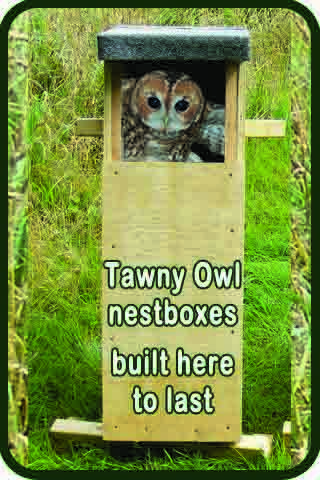 Read more about what to do if you find a young Barn Owl or what to do if you find a young Tawny Owl. A minority of fallen owlets have to be kept for longer because they need to gain weight and by the time they are fit enough to be returned, the original nest is empty. Owlets that are too old to be returned to the nest (or fostered in to another nest) must never be just let go, or cold-released. 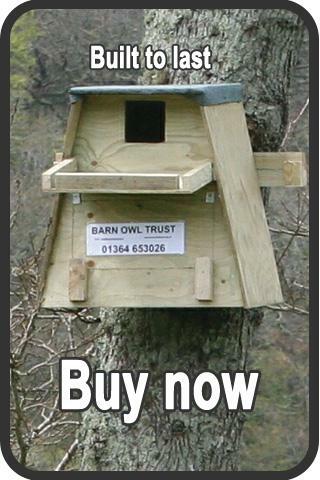 – another method for unfledged Barn Owl nestlings. This owl release method involves placing one, or usually more, nestling Barn Owls in a nestbox surrounded by suitable habitat and placing food in the box every evening. The owlets are not shut in and are only restrained by their inability to fly. As they grow and become more mobile the natural pace of their own development governs the speed of their release. With this method, a pattern of return for food is almost always established and their survival rate is equal to that of parent-reared owlets. This owl rehabilitation method is not generally used with nestling Tawny or Little Owl owlets because, when they fledge, they do not appear to be as nest-orientated as Barn Owls (they are less likely to return to the nest when hungry). 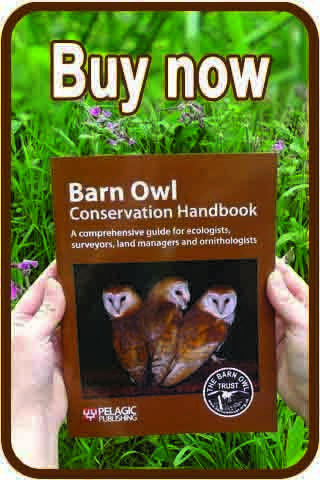 Chapter 9 of the Barn Owl Conservation Handbook contains information on the ‘general principles of Barn Owl rehabilitation’ and the ‘principles’ and ‘reasoning’ behind the various owl release methods. If you need highly detailed advice concerning an individual owl, release method, or release aviary design/operation, please contact us. Owl rescue and rehabilitation outlines this important part of our work.